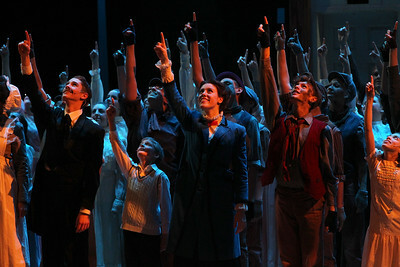 Candace H. Johnson-For Shaw Media Mary Poppins played by Anna Brown, 17, of Fox Lake (center) performs with the entire cast in the Finale during Spotlight Youth Theater’s Mary Poppins at the College of Lake County in Grayslake. 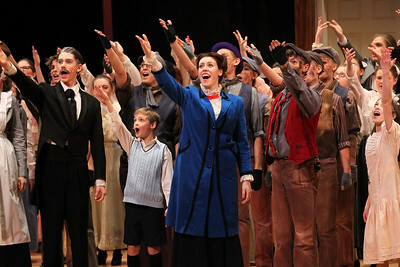 Candace H. Johnson-For Shaw Media Anna Brown, 17, of Fox Lake, as Mary Poppins (center) sings with the cast in the Finale during Spotlight Youth Theater’s Mary Poppins at the College of Lake County in Grayslake. 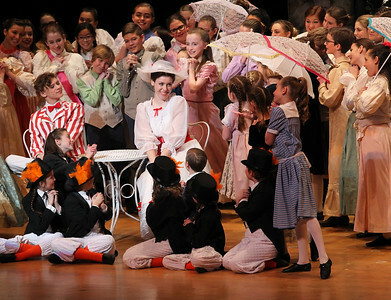 Candace H. Johnson-For Shaw Media Anna Brown, 17, of Fox Lake (center) as Mary Poppins listens to the cast sing, "Jolly Holiday," in Act I during Spotlight Youth Theater’s Mary Poppins at the College of Lake County in Grayslake. 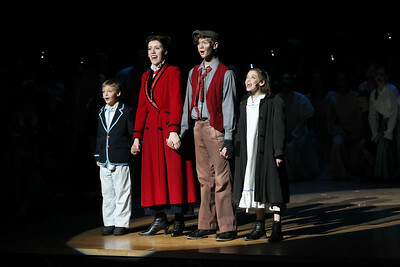 Candace H. Johnson-For Shaw Media Joshua Zientara, 11, of Lake Villa, as Michael Banks; Anna Brown, of Fox Lake as Mary Poppins; Matthew Schroeder, of Gurnee, as Bert; both 17, and Abby Hough, 13, of Round Lake as Jane Banks sing, "Anything Can Happen," in Act II during Spotlight Youth Theater’s Mary Poppins at the College of Lake County in Grayslake. 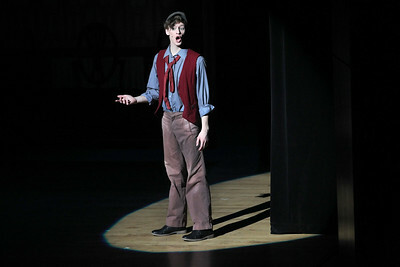 Candace H. Johnson-For Shaw Media Matthew Schroeder, 17, of Gurnee, as Bert, sings, "Chim Chim Cher-Ee," during Spotlight Youth Theater’s Mary Poppins at the College of Lake County in Grayslake. 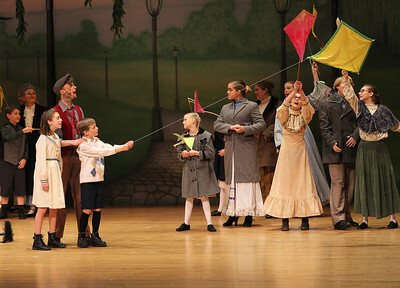 Candace H. Johnson-For Shaw Media Abby Hough, 13, of Round Lake, as Jane Banks, Matthew Schroeder, 17, of Gurnee as Bert, and Joshua Zientara, 11, of Lake Villa as Michael Banks, sing, "Let's Go Fly A Kite," during Spotlight Youth Theater’s Mary Poppins at the College of Lake County in Grayslake. 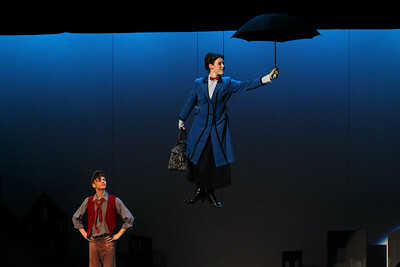 Candace H. Johnson-For Shaw Media Matthew Schroeder, of Gurnee as Bert, watches Anna Brown, of Fox Lake, as Mary Poppins, both 17, fly with her umbrella off the stage during Spotlight Youth Theater’s Mary Poppins at the College of Lake County in Grayslake. 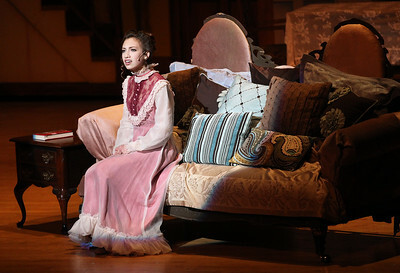 Candace H. Johnson-For Shaw Media Cecelia Hough, 15, of Round Lake as Winifred Banks sings, "Being Mrs. Banks," in Act I during Spotlight Youth Theater’s Mary Poppins at the College of Lake County in Grayslake. Joshua Zientara, 11, of Lake Villa, as Michael Banks; Anna Brown, of Fox Lake as Mary Poppins; Matthew Schroeder, of Gurnee, as Bert; both 17, and Abby Hough, 13, of Round Lake as Jane Banks sing, "Anything Can Happen," in Act II during Spotlight Youth Theater’s Mary Poppins at the College of Lake County in Grayslake.